In addition, the actual us is also all of the emotional energies that we have added to the original emotional energies of the original event. And so it is that as explained in our Forgiveness recording, whenever we get angry or regretful in the present upon remembering an emotionally charged past experience, we deposit the emotional energies of anger or regret within us. One’s 3rd dimensional physical body’s brain records all of one’s experiences in life and stores them together with all of the emotional energies one experienced during that event within one’s physical body, (which is one’s 3rd dimensional Spiritual Energy Field of Consciousness). As explained in our Love Energy Techniques Classes we humans have a Spiritual Energy Field of Consciousness on each dimensional level we have Conscious Awareness. We humans are unique, out of all plants and animals upon planet earth only humanity has both a temporary 3rd dimensional physical body and a permanent 4th dimensional Emotional Body. One’s Emotional Body is one’s 4th dimensional Spiritual Energy Field of Consciousness and it is much larger than one’s 3rd dimensional Spiritual Energy Field of Consciousness. One’s Emotional Body and 4th dimensional Spiritual Energy Field of Consciousness contain the essence of who one is, all of one’s memories and all of the emotions regarding every experience one has ever encountered in every lifetime that one has ever lived. Those unique individuals who attend our Love Energy Techniques Activator Classes are taught the ancient wisdom and modern techniques that enable one to use the Unconditional Love Energies of 5th dimensional Bliss to self create their own personal individual 5th dimensional Spiritual Energy Field of Consciousness. Once, participants in an Activators Class learn how to activate Merkabas, they begin recording 5th dimensional memories about their personal experiences traveling in their Merkabas through a Tunnel of Love to a distant location where one can walk through a magical and mystical 5th dimensional valley that is filled with Unconditional Love Energies of Bliss. 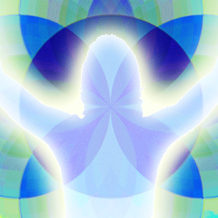 Starfire Healers are taught how to self create Conscious Awareness and activate Spiritual Energy Fields of Consciousness into Merkabas on the 6th and 7th dimensional levels, while Adept Teachers are taught how to self create Conscious Awareness and activate Spiritual Energy Fields of Consciousness into Merkabas on the 8th, 9th and 10th dimensional levels.